SDS Carpentry - Builder, Carpenter based in Bognor Regis, West Sussex. SDS Carpentry is a carpentry company based in Pagham. Offering an affordable and high quality of work for your job in need. Working through West Sussex and the surrounding areas. * Door hanging internal and external. * Built in furniture from wardrobes to draw units and shelving. * Stair case work including new balistateing or even a new staircase. * All aspects of wood flooring. * All aspects of first and and second fit carpentry from building a stud wall to skirtings and architraves. 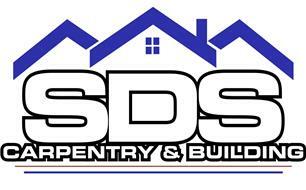 SDS Carpentry aim to deliver a prompt and efficient service. Working closely with the customer on your requirements of the work you would like carried out. Please feel free to look though my photos photos and my reviews. If you would like to discus any works please fell free to contact me for a no obligation quotation and at a convenient time to suit you. Many thanks for taking the time to look at my profile.